Leighton Properties has entered into an agreement to purchase a major mixed-use development site in Melbourne's Mooney Ponds. The property development arm of Australia's largest construction business has agreed to purchase the 1.3 hectare property from US cinema operator Reading International for $23 million. The site will be transformed into a landmark, master planned community, which has the potential to provide over 800 apartments and 2,000sqm of ancillary retail, with an end value of around $450 million. “The future development of this unique site with six street frontages in the heart of Moonee Ponds established and thriving town centre will be the first master planned development in the area and is set to become a landmark precinct," said Leighton Properties Managing Director, Mark Gray . “The purchase of this site is consistent with Leighton Properties strategy to focus on inner ring urban renewal sites which are in prime locations, close to transport links, retail and places of work. 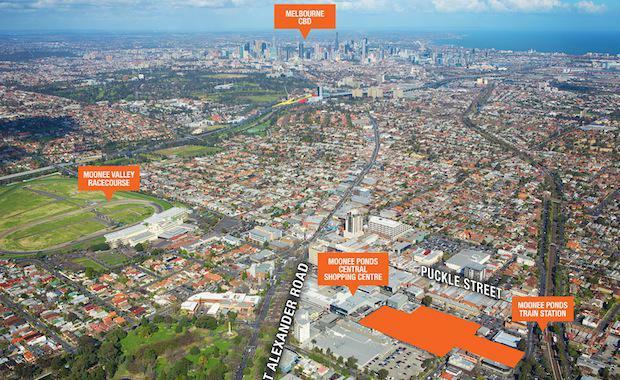 "The Moonee Ponds site is a great example of a transport orientated development, being immediately adjacent to rail, tram and bus links, coupled with a strong retail precinct built around the Moonee Ponds Central Shopping Centre and the prestigious Puckle Street, which retains a strong village atmosphere and thriving patronage. The sale was undertaken jointly by CBRE and Colliers International through a Expressions of Interest campaign.